We started our vacation with a trip to Sea World. This was the first time I have ever been to Sea World. We got pretty lucky because crowds were not bad at all. We could have ridden both roller coasters multiple times if we wanted. We did hit those first thing to avoid crowds. 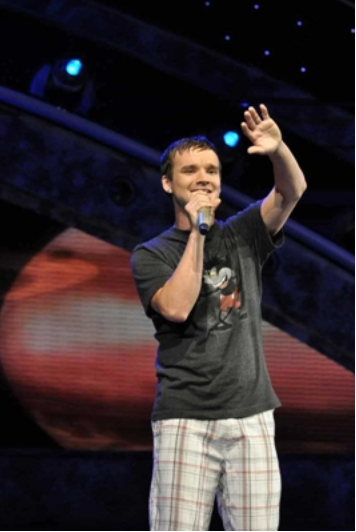 Sea world is more about the shows than attractions. I thought all the shows were very good. I especially enjoyed the pet show. I have to admit I was questioning taking the time to see this show when I first read the description on the park map. 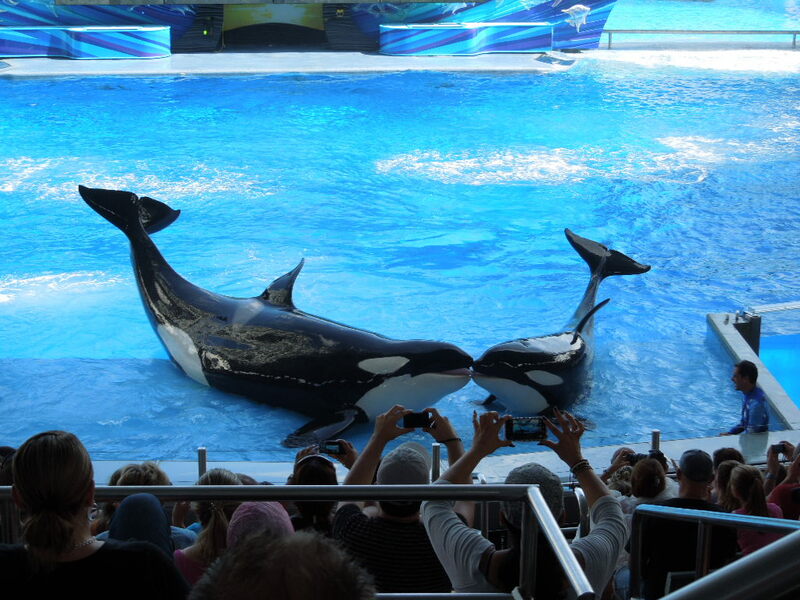 The whale and dolphin shows were incredible as well. It is amazing what animals can be taught! We left Sea World early afternoon and then headed to Walt Disney World and once we checked in and settled into our room we headed to Downtown Disney. We decided to drive to avoid having to catch the bus there and back but since it was a Saturday night the parking lot was crowded and it took a little while to find a parking place. Our first priority was food since we didn’t really eat anything at Sea World. 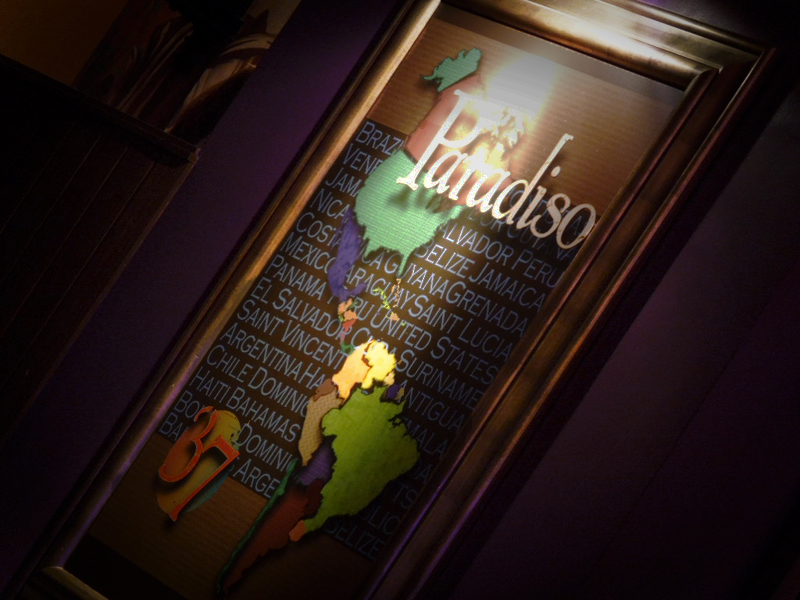 We tried Planet Hollywood but the wait was going to be over an hour so we moved on and decided on Paradiso 37. The food seemed to be pretty good but we all were starving so it is possible that they handed us cardboard pictures of food and we didn’t notice. Our tour of the parks began at Animal Kingdom. Before we got started I had to upgrade my ticket to an annual pass! Then we headed straight to Kilimanjaro Safari with hopes that the wildlife would be more active. Most of them seemed pretty active but the lions were lounging like they were last time. I did notice they took the poachers storyline out of the attraction. We made sure to take time to watch the Tam Tam drummers and got to see DiVine as well. I was upfront when the Tam Tam drummers began so I could get good photos of course and I just happened to be pulled in to help with a dance. 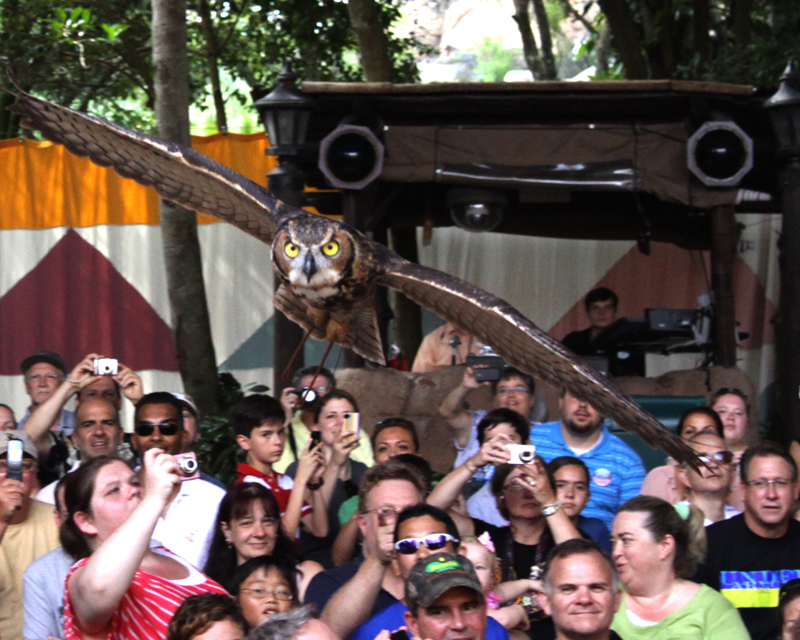 Speaking of participating, I was also selected to go on stage in the Flights of Wonder show to photo an owl flying from the back of the theater to the stage (right by my head). I did learn a valuable lesson at Animal Kingdom this day…pack a change of clothes for Kali River Rapids. I was the chosen one on our voyage! There was not a dry spot on me! I also heard they started offering complimentary lockers right by Kali River Rapids that you can use for 2 hours. This trip I did more shopping and exploring in Animal Kingdom but still didn’t have enough time. I could spend all day in this park and not see one show or ride one ride. 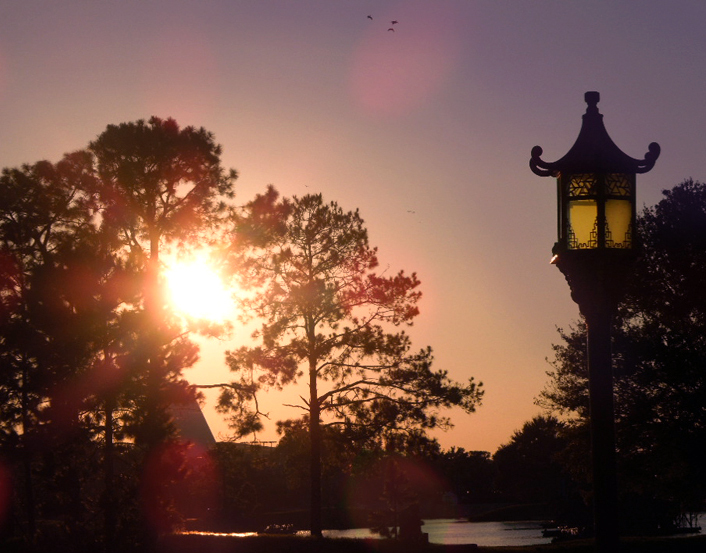 There is so much detail in this park that it is an attraction in itself! It is a photographers playground! I am convinced that this is not a one day park. 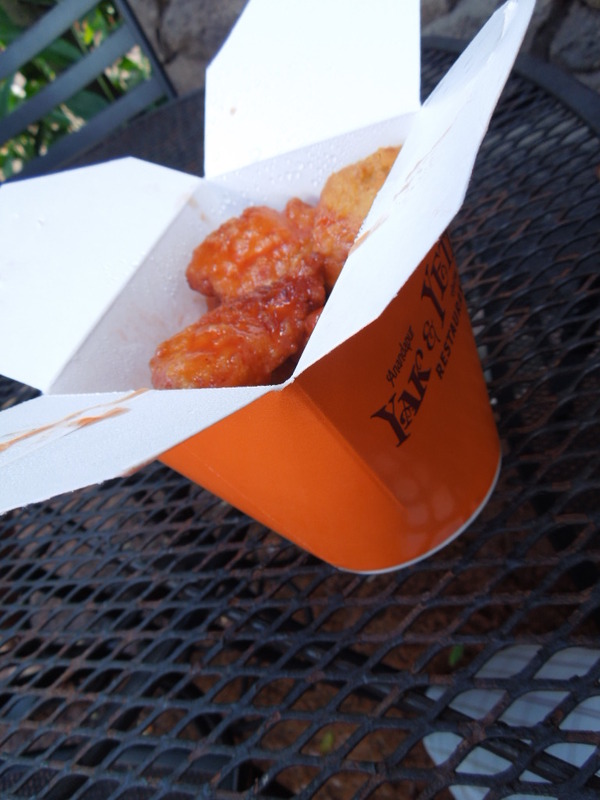 We ate at Yak & Yeti counter service for lunch. Good food and a large enough portion to share, although we didn’t. I suggest sharing an entree and ordering egg rolls. We decided to hit up the extra magic hours in Magic Kingdom and leave Animal Kingdom a little early. Everyone else headed back to the hotel to freshen up a bit. I had already taken a bath on Kali River Rapids so I went on to Magic Kingdom. The lighting was great when I arrived at Magic Kingdom so I took time to explore Main Street USA a little and get some photos before meeting back up with everyone. I actually explored Magic Kingdom and took photos for a couple of hours and only rode one ride in the whole time before meeting back up with everyone. The crowd level at MK was 8.5 this day so it was pretty crowded for awhile and a little difficult to get around especially with a wheelchair which my aunt had to have because she injured her leg the week before. We managed to ride a few rides and catch the Main Street Electrical Parade this night. It was my intention to stay until close (3am) but the long drive and the early mornings proved to be too much. It was really dead but so were we. I think we made it to about 2am. I’m thinking a nap after Animal Kingdom would have been ideal. 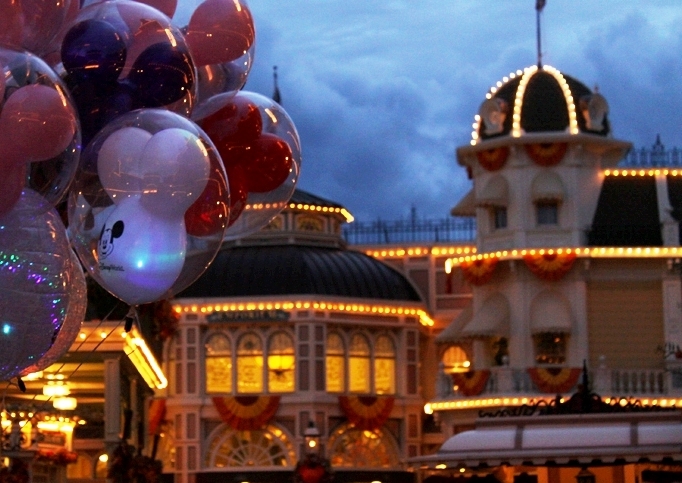 It would let crowds die down and we could rest up to utilize the early morning hours in MK. Lesson learned! Day two at Walt Disney World was dedicated completely to Magic Kingdom which was supposed to be a 1.1 crowd level. It wasn’t real crowded but I would have said it was more like a 4. 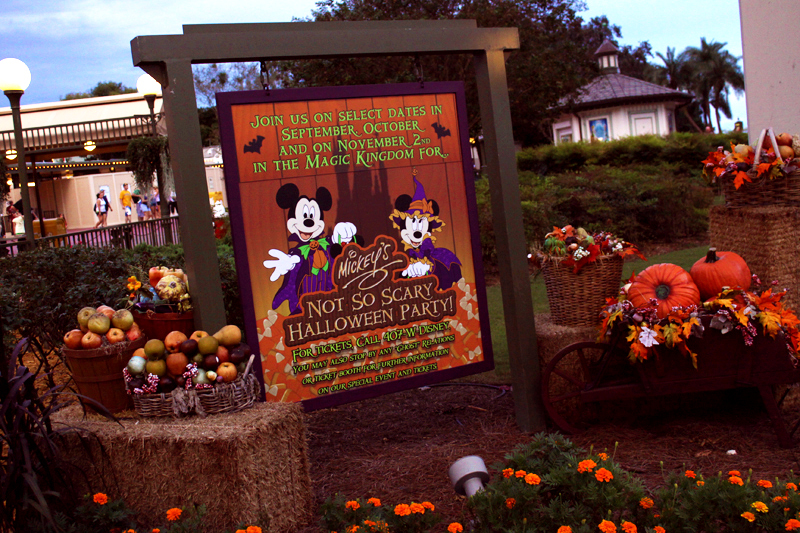 We made our way back to the resort around 4 to start get into costume for Mickey’s Not So Scary Halloween Party. The party was a great unique experience! 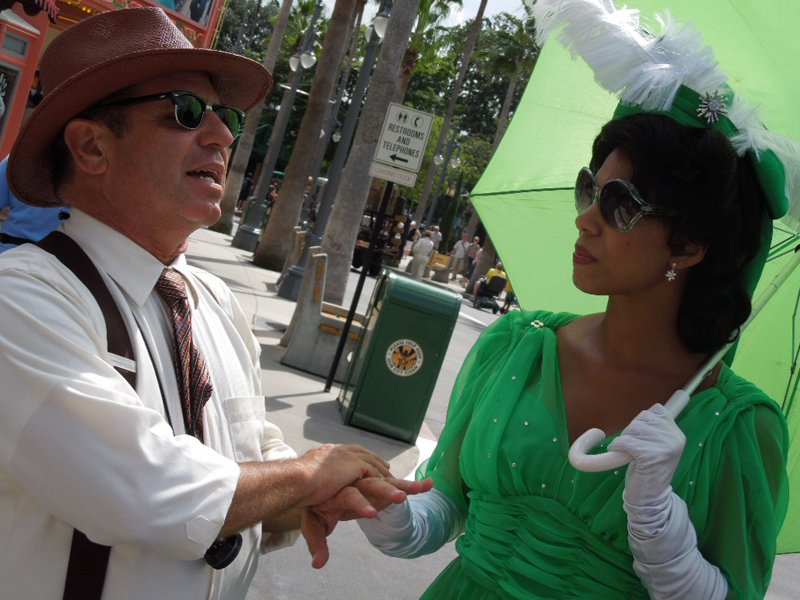 It was fun to see the costumes of all the guests and see how guests and cast members react to everyone’s costume. 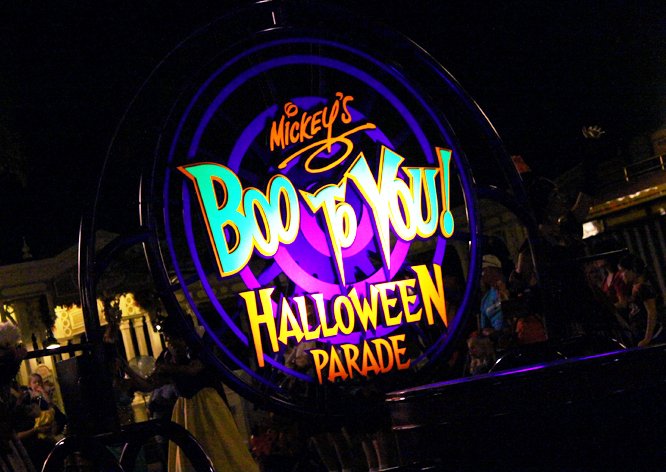 I absolutely loved the Boo To You Parade and HalloWishes. I will save more detail about the party for another post. My next day began with an audition and the American Idol Experience. I planned on trying a different song this time but I didn’t practice as much soI sang Drops of Jupiter as one of my audition songs and ended up making iton the show. The audition judges chose Drops of Jupiter as my song for the show and although I did not win I had a great time and enjoyed hanging out with my competition. While I was auditioning I sent everyone else to get Toy Story Mania fastpasses for later…and later they were. They got the fastpasses at 10:30am and the return time was 4:50. Of course we hit up Writer’s Stop for a carrot cake cookie and Starring Rolls for a cupcake! I ate at Pizza Planet for the first time which was pretty good but I do love most pizza. We took time to stop and watch some of the streetmosphere on Sunset Blvd and I ended up being part of one of the street shows! We barely got a seat for Fantasmic! 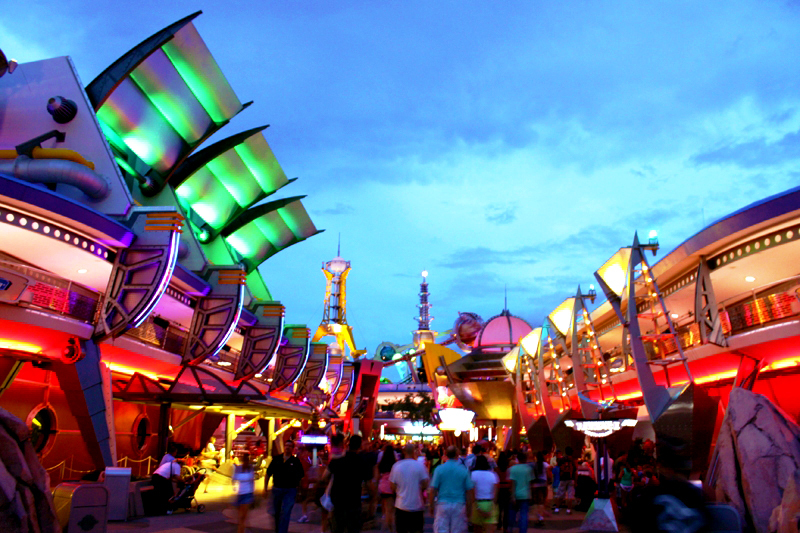 that night because we tried to squeeze one last ride on the Rockin’ Roller Coaster…can you blame us? After Fatansmic! we jumped over to check out the Boardwalk. It was a perfect night to be out on the Boardwalk and it wasn’t crowded at all. We ate at Big River Grill and Brewing Works. I suggest the meatloaf! Our next day we went back for another dose of Hollywood Studios to hit a few other shows and attractions we missed the day before and to try and improve our score on Toy Story Mania! About halfway through the day we boarded one of the Friendship boats and headed to Epcot. 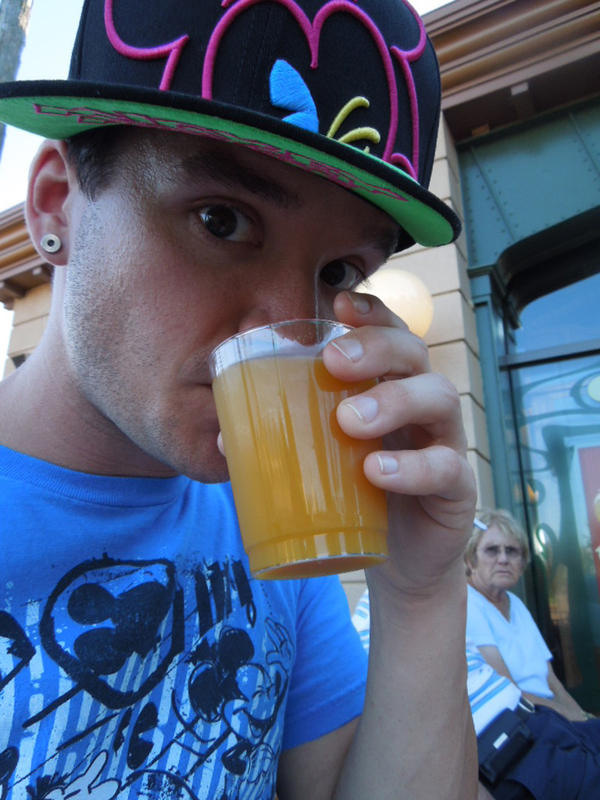 This was my first experience of the Food and Wine Festival. I love cooking, fine dining, and trying new foods so I was excited to be there during the festival. Although we did not attend any demonstrations this trip it was good to see everything that is going on and now I have decided to someday take a trip primarily for the festival and to budget to do some of the demonstrations. Between the four of us we tried quite a few of the kiosks but did not come close to hitting them all. 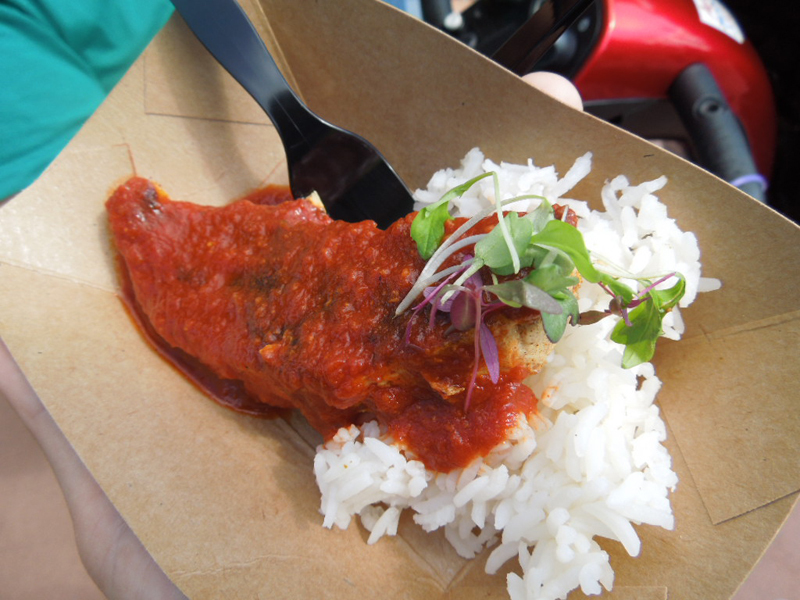 Good thing the festival will still be going on during my next trip…and we will be on the counter service dining plan! I will wait for another post to go into more detail about the festival. 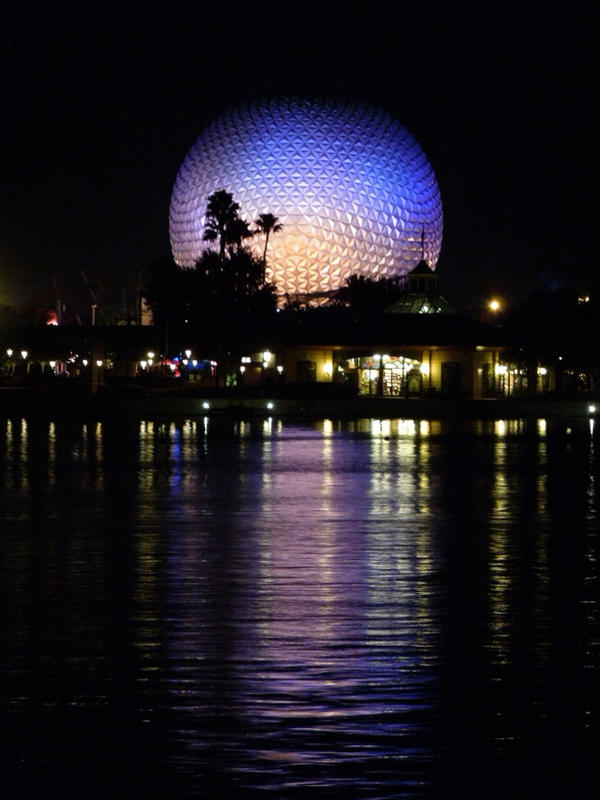 Epcot had evening extra magic hours this night until midnight so we spent most of the time exploring the World Showcase pavilions, which I highly recommend even if you have to go back to the resort to take a nap to do it. Not only do you pretty much have the place to yourself but there is just something about exploring the pavilions at night. Our last day in the parks we headed back to Epcot which was predicted to be a 3 out of 10. I would say that it was at most a 3! We took advantage of the small crowds to hit more of the attractions and to try more food! We watched IllumiNations the night before so decided to head out a little early to eat and do a little shopping in Downtown Disney. We ate at The House of Blues which was alright. I would say the primary allure of this place would be the live music but there was no show this night. Although we did not even come close to doing everything, this trip did have quite a few firsts for me but I will save those for another post since this one is already ginormous! We all had a blast and if you want to check out some of the photos check out my new Facebook page Mouse Host. Wanting to plan a trip to Sea World as well? Check out there site here! This entry was posted in Disney's Animal Kingdom, Disney's Hollywood Studios, EPCOT, Food, Magic Kingdom, Trip Report and tagged All Star Movies, American Idol Experience, Animal Kingdom, Boo To You Parade, Disney's Boardwalk, Downtown Disney, Epcot, Fantasmic!, Fastpass, Food and Wine Festival, HalloWishes, Hollywood Studios, Illuminations, Magic Kingdom, Mickey's Not So Scary Halloween Party, photography, Sea World, Toy Story Mania, travel, vacation, Walt Disney World. Bookmark the permalink. Great post! Love it. And I am with you on Animal Kingdom it is my favorite. I could do a whole vacation there. Yeah, it is definitely not a one day park as some claim but it does depend on your style of touring. If you are in it just experience all the attractions, it is possible to do it in one day. I view the whole Animal Kingdom as an attraction itself your entertainment surrounds your as you make your way from “attraction” to “attraction.” I could spend the whole day in that park and never set foot on a ride or inside a theater, especially with camera in hand! I am a consultant for SeaWorld Parks, and I stumbled into this post and wanted to say thank you. Posts like these go a long way towards getting people in the park and spreading education and smiles around our animals. It means a lot! I’m glad you had so much fun at SeaWorld and at Disney as well. Our shows really are great! I know that’s a lot to ask and I greatly appreciate it if you would consider it – what you’ve done already is super appreciated and if nothing else, consider this e-mail a thanks!